Spring is approaching, and with it comes the desire for change. Whether you just want to alter your aesthetic for the new year… or prepare your property for higher prices as a rental or sale… painting can be a wonderful way to affect change quickly and effectively. Painting your apartment can bring wonderful revitalization to a space, but choosing the right color can be a difficult challenge. The color of a painted wall shifts depending on what type of light is striking the surface and what other colors are surrounding it, so there must be an awareness of variable light and physical context to achieve the correct color environment from wall to wall and room to room. Rather than painting small splashes of different colors directly onto your walls, it is far easier and more effective to paint two or three coats on a stiff paper card. This painted card can then be held all over the room, by windows and light fixtures and in dark corners, giving you a far better sense of how a color varies in different areas. A common concern is how much color difference is acceptable between different rooms, as sharply divergent colors may clash and make the rooms seem disconnected. One way to link different color schemes together is by threading a guiding color thru each room of the property. A strong color could start on the baseboards and door frames in the hallway, and be seen again on the cabinets and wood trimming in the kitchen, and then be found on the shelves of the living room, and finally appearing in the bedroom on the window frames. For old floors that are near the end of their usefulness, or inexpensive floors with a short time-line and an unattractive patina, one creative solution to breathing new life into them is to use high-quality paint with a matte finish. If the paint is durable enough you can create a vibrant floor with a new lease on life. The concepts shared above are great if you want to handle your own painting renovation. But as with many things in life, you will likely get a greater result and far less stress if you hire a professional. Scheduling a consultation with a designer, choosing high-quality paints (like Farrow & Ball), and booking a professional painting crew are all options that will raise your painting project and your property to the next level. A WebMD search leading you to believe you have days to live is just as irrelevant as bad media news stating erroneous data. The US economy, for the most part, is in outstanding shape. Although stocks are down, the S&P 500 is 35% higher than 5 years ago and 175% higher than 10 years ago. Housing bubbles and recessions are not the same things. Some, not all areas, have seen extreme price inflation. Price inflation is the result of low inventories and high demand. 14 million American homeowners - roughly 25% with a mortgage - are “equity rich”. Their debt is less than 50% of their current home value. 2019 may turn out to be a period of SLOWER economic growth. Slower growth is not a recession and is good because it puts the brakes on the Fed's willingness to raise rates. Traditional doom-and-gloomers want a recession or want everyone to believe a bad recession is inevitable while others are hoping for a recession to be able to snag bargains. Some of the greatest fortunes are made buying distressed assets. Whatever the economic circumstances, homes sell. We cannot control the economy, we can be prepared for it. The way to win the investing game is with a winning strategy. Home ownership is part of your investment strategy. You need a team on your side that understands this and can help facilitate your transactions. My team does. Please call me to discuss how to make price and value meet to execute the smart purchase or sale of your home. November was a month of travel; meeting with clients in Asia to discuss opportunities in the New York housing market. I was privileged to join an investor summit where family offices reiterated their desire to purchase real estate in the global market. They reminisced on the significant success their families achieved by purchasing in down markets. Today, price and value are at odds with each other. As interest rates increase, prices fluctuate and value lessens. • Mid-term elections have delivered a more divided political environment which may inspire more compromise in Congress - and dealmaking. • Stocks in some Equity markets continue to approach correction with some down 40% or more from their highs. This is much like some over-inflated real estate pricing that spurred this correction process 18-24 months ago. • December means bonus season. Some bonuses will be as good or better than last year. This may translate to capital investment in the real estate market. • Rising interest rates are always a concern. The Fed is keeping an eye on the results these rising rates are having and has signaled a potential easing of future increases. Choice + time + lowered prices + negotiability + more knowns = opportunity. I can help you with your purchase goals. Please call me to discuss how to make price and value meet to execute a smart purchase. I look forward to sharing more notes with you in 2019. The close of the 3rd. Quarter of 2018 has many in the New York City luxury real estate market crying the blues. Buyers have more wealth today than any other time in history and yet market results are less than stellar. The activity is slower, prices are declining and there are fewer sales. In my opinion, markets are about buyers. I have identified FIVE BUYER PROFILES which may explain why some areas are experiencing a pull back in sales and pricing. THE EXHAUSTED BUYER: It takes a lot of time, money and effort to move. Many love where they live and are focused on careers; enjoying travel, their families, or their second home. Some are taking the renovation route. The exhausted buyer is shifting their energies to other areas in their life. THE LOW-INTEREST-RATE-ADDICTED BUYER: Paying more per dollar borrowed is a difficult decision for a buyer and a fact they confront as rates rise and normalize. Giving up a super-low interest rate can be painful making them hesitant to buy now. THE FEARFUL BUYER: Fear can paralyze. What if prices keep declining? What impact will local tax policies have on my monthly costs? How much will they increase? What is the full impact of the revised tax laws? What if I buy now and cannot sell my existing home? The fear of these unknown answers is causing buyer paralysis. THE INVESTOR BUYER: They are cycle wary: are we at the tail end of a 10 year economic cycle? Astute investors recognize there is ALWAYS opportunity, even in a market that appears to be in decline. Now is no exception with some incredible opportunities to be had. Investors are getting super-strong returns from equities. Cash investments yield profitable returns as interest rates rise. The softening of home prices in some markets may spark the interest of the investor buyer. THE INTERNATIONAL BUYER: Many international buyers are in 'wait-and-see' mode as the U.S. defines its trade, immigration and visa policies. Coupled with a strong dollar the international buyer will sit it out even longer. Activity in the luxury real estate market is slower. Buyers are snapping up exceptional properties at pricing not seen in years. The five profiles described here help explain the softening we experience as we enter the final quarter of 2018. As always, some properties will sell for large premiums and some will adjust to the market demands of their neighborhood. The fact remains; buyers will buy, it just may take a little longer today.. The summer heat may finally be coming to an end, but will you be ready for next year? Here are three smart window AC units that actually look cool while keeping you cool. The most distinct AC unit is the Kapsul, which is still in production and won't be available till Spring of 2019... there is still time to order one at a pre-release discount price. Completely redesigned to be easy to install, digitally connected, and visually unlike any other AC unit. The standard-bearer of quality AC units has to be Friedrich, and their Kühl line may not look radically different, but it has a host of high-end details (purity, durability, and digitally connected) that make this a wise investment for superior temperature control. The final option, the Frigidaire Cool Connect, is the lowest price point of the three options presented here, but it still delivers a sleek design, efficiency, and digital connection. This summer may be coming to a close, which typically means it is time to store your old tarnished AC unit in some dark corner of your apartment... or you can let go of the past and plan for the future, with a new way to keep stylishly cool next summer. Information comes at us so fast these days that is it is easy to get caught up in the most recent batch of data points... and that immediate information becomes all that we can see. From time to time I think we should pause, step back from the current situation, and explore a more historical frame of reference to get a better understanding of what is actually going on. For example, while it is true that interest rates have been increasing over the last 12 months, in a very real sense they are still at historically low levels. (see graph below). Borrowing money is still a remarkably cheap way to leverage your current savings toward the purchase of property... starting the process of building equity for the future while in your new home. Sometimes we need to look to the past to find our way forward. We are so excited to announce the launch of the new Compass sign! Just when you thought the “for sale” sign was dead, it’s been resurrected and connected to the internet. Compass recently unveiled a new design for its “for sale” sign, and it’s a decidedly modern update to a decades-old design. We see this as a smartphone in the front yard and just one part of a connected Compass ecosystem that includes software, hardware and data. The half-digital, half-analog sign is lollipop-shaped with a glowing outer ring. It looks like it could have been designed by Dyson or Apple or pretty much any other 21st-century company with a taste for the minimal. We are excited to announce the release of the Compass 2Q 2018 Manhattan Quarterly Market Insights Report. This report highlights the prevailing trends shaping the market for each neighborhood of Manhattan. Inventory levels reached new peaks in 2Q 2018 as buyers at most price points, especially those contemplating homes in the $1M - $3M segment, exhibited patience as a result of numerous factors: (1) the recent tax reform that reduces deductibility of state and local taxes, including property tax in New York, (2) gradually rising interest rates, which directly reduces affordability for leveraged purchasers, and (3) awareness of potential market weakness / perceived over-supply in the core luxury market. Pricing is a delicate topic for all sellers. I am often told "I don't want to give my home away" to which I reply "I haven't given one away yet!". Trust is important and I appreciate my clients trusting me with the marketing of their homes. In this post, I want to share a recent success story from some of our favorite clients. Smart pricing got my listing in Crown Heights into contract in 36 days with 5 offers on the table. The average days on market for the building is 130 days which means we sold our unit 3x Faster! That difference in time is a huge help for our sellers, a young couple looking to move into a larger home upstate. 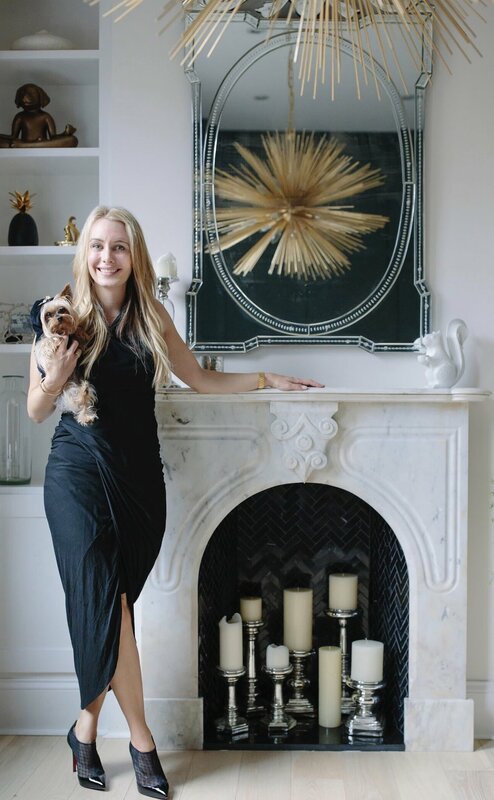 As the listing agent, it was pivotal for me to listen to what was most important to my sellers and create a market strategy that fit their needs. The fastest and most effective way for an owner to realize the maximum profit on the sale of a home is to get the pricing right. Having the proper list price can boost interest in the listing and drive traffic and, in turn, multiple offers. The wrong price can do the opposite; keeping potential buyers from seeing your listing or arrange a tour. The homes that sell the faster and for the highest price point are priced competitively to attract a pool of buyers. Money flows to value. A home that is perceived as a good value will attract more buyers than an overpriced home. It’s much better to price it right and create such interest and demand where buyers are chasing you, versus you chasing the market backward and searching for the demand. So don’t be afraid to price your home fairly, or even underprice it—which is likely to attract buyers and boost the price to where it should be. Contact us today to find out the true value of your home. Notes from the Biking Broker: Porcelain Vs Ceramic? Both can be used in home renovations, and both are manufactured with different types of clay. The real difference is in their levels of permeability... specifically, in terms of water absorption. Porcelain tiles absorb less than 0.5 percent of water. Ceramic and other non-porcelain tiles absorb more than 0.5 percent water. This means Porcelain is more dense, less permeable to moisture, and more resistant to overall wear and tear. 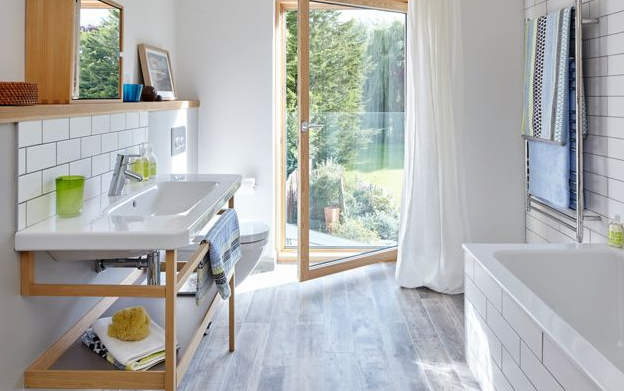 This means for areas with water (bathrooms, kitchens, outdoor) and high-stress, you should often think about choosing Porcelain rather than Ceramic. But Porcelain is typically more expensive (often double the price), and if you are interested in doing your renovations yourself then it is important to note that Ceramic is far easier to cut and shape and affix without special tools or professional experience... which means if you are on a Budget or choosing to DIY, then Ceramic might actually end up being the right choice. Everyone knows about conventional grout colors- matching white tiles to the same shade of white grout can prove maddening. But what if you went for something bolder? 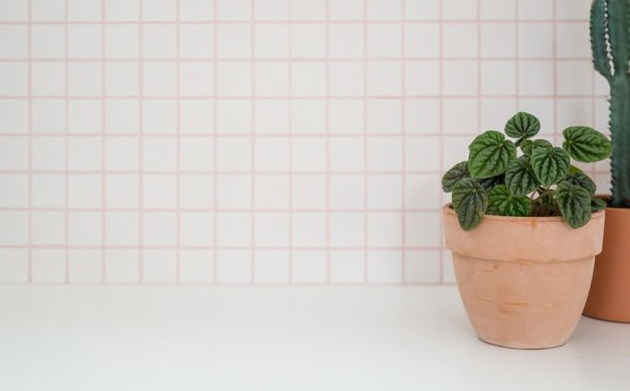 A trend in kitchen and bathroom design now is to add a pop of color with pink, green, blue, or even red grout. Don't just take our word for it, see for yourself below. Love it? Hate it? We aren't sure either. You can buy almost anything from your phone these days, from dinner for two, to movie tickets and used cars. Now, New York real estate joins that list. We just worked with buyers from Michigan who placed an offer on the spot thanks to a video tour with FaceTime. We were hosting an open house at our listing on the Upper West Side and a neighbor came to see the apartment. He told me that his former professor was looking for a New York apartment and asked if he could FaceTime her. After giving her the full tour, he handed me the phone and let us talk numbers. From that initial offer, contracts were drawn up and signed, and the deal was closed all without requiring a trip to New York until the closing. This is just one example of how New York City real estate is changing every day with new technology and new innovations. Compass is expanding on a national level, which means that we can help you find a home in most cities. No matter where you may be considering a real estate investment, let us know, we would love to be your advisors. April and May were packed full of conferences ranging from mindfulness, real estate, finance, and blockchain. Below you will find my key takeaways from Milken that are relevant to you. Many people asked who I was most excited to hear speak and it was no question- Sam Zell, the legendary real estate investor and business rebel is known for his bold market moves and creative antics. Sam shared his projections on the market and two standout lessons that apply to everyone reading this email. Lesson 1: Do what makes sense to you! Knowing when to listen but also when to stick to your conviction is a trait that separates good from legendary. I relate to this in my work in real estate because I can pepper my clients with data and market trends, but at the end of the day it is important they do what makes sense for them. You can’t quantify the feel of an apartment or what it means to build a life in a special home. If you want a home you need to follow your instincts with the guidance of good data. Lesson 2: Pay attention to basic economics! Over his lifetime, Zell has taken on what many would consider complex investments. Acquiring the Chicago Tribune that incorporated an ESOP transaction, using NOLs to build up a portfolio of businesses, are just a few examples where an outsider could argue Sam Zell loves the complex deal. However, most of Zell's investments are driven by simple principles of supply and demand. Early in his career, he realized the value of just paying attention to the basic economics at play. To this day he uses that outlook as a driving thesis for his investments. The complex structures and moving parts have arrived as a means to execute on larger deals, but at his core, Zell fixates on the simple and basic supply and demand principles at play. When looking for a home or an investment, it is essential you can describe why the property is special and unique. High ceilings, views, outdoor space, location, designer finishes, are all critical variables. I suggest investing in amenities that allow you to have a unique product for resale. But don't pick the wrong finish for the fixtures! Chrome seems to be the 'autopilot' choice for most builders and remodels but don't be afraid to choose something more daring. Polished Nickel or Rubbed Bronze can give an updated feel without taking too may risks with your design astehic. For more options, click here. Just last week the city of New York and Amtrak announced that they have hired a firm to plan out a master development site that could change the face of Queens. 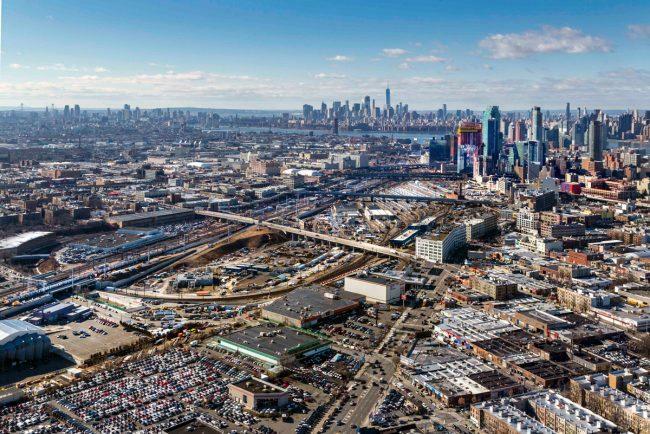 Sunnyside Yards is slated for redevelopment and is primed to model Hudson Yards as a megadevelopment. Erecting buildings on stilts over the existing railways could spur development as Long Island City runs out of space. The success of developments in Downtown Brooklyn and Long Island City show that there is a demand for high-density development outside of Manhattan. Though many years off, this project could be a big change for the borough of Queens. Do you ever wish that you were more connected to nature? Or that your home allowed you to be more connected to the environment it is set in? A new design trend called Biophilic Design may be one to consider when building or remodeling your home. Biophilic Design is based on the principle that connecting a person to nature through design can actually make them feel happier. Amanda Sturgeon, a prominent architect and champion of Biophilic Design states that humans "possess an innate tendency to seek connections with nature and other forms of life." Drawing on this need for connection, Biophilic Design uses natural features such as wood, stone, and clay along with natural light and shapes found in nature to create inviting and comfortable spaces. To read more about Biophilic Design, click here. 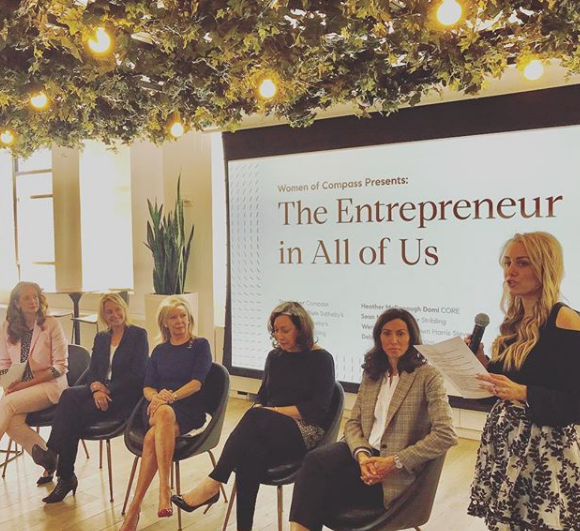 This month I had the privilege of hosting some of the most distinguished female real estate agents in NYC at Compass HQ. The theme of the event was entrepreneurship and I want to share some of the words of wisdom from our esteemed panelists. If you would like to join for a future panel discussion, please let me know and I will add you to the list. Many of my clients enjoy learning from the brightest minds in real estate. Goal Setting: Set very specific goals with a reasonable time frame attached. Goal setting is a very significant factor in determining successful business outcomes. Without goal setting, there will be no growth or development in your business. Building a business without goal setting is like setting out on a journey with no starting or ending point. Goal setting is one of the big differences between entrepreneurs that are successful and those that seem to go nowhere or always start over. Follow Up: Everyone likes to be pursued, rather than the pursuer. There's a reason that many people say that the fortune is in the follow-up. When you follow up properly with people, your reputation, and your business will benefit. Team Building: Thriving enterprises employ a superior team filled with top talent. The key to a strong team is the awareness and acceptance of one another's strengths and weaknesses. Many of us cannot see past our egos to face our weakness so take a personality test to learn more about yourself. Be smart enough to know what you don't know and humble enough to lean on others for advice. Branding: In this day and age everyone needs to have a personal brand. The key is authenticity. Trying to imitate another person’s brand will only lead to failure. Your voice matters as long as you stay consistent and focused. Speak to people you trust and who know you best, often times they will have great insight into what your brand can be. It is important to keep your brand relevant when looking for the next opportunity or looking to be recognized within your company. My experience in real estate, especially over the past 4 years at Compass, has taught me a very important lesson and that is that the world of real estate is set up around abundance and not scarcity, and the key to success is creation and cooperation, not competition. I am happy I can share the knowledge of brokers I admire with you as my friends and close clients. Is Renter's Insurance Worth It? Although 95 percent of people who own homes carry homeowners insurance, only about 40% of renters have renters insurance, despite the fact that the average cost of a policy is around $200. One reason is that mortgages often require insurance, but that doesn't explain the whole picture. Often, renters believe that the value of the items in their home isn't worth getting insurance, the "Oh, I don't have anything fancy" reasoning. This notion forgets that if there were an event that cost you all of your belongings, the cost to replace everything at once could be staggering. Imagine not only replacing big-ticket items like a laptop or tv, but also pots and pans, dishes, furniture, clothes, etc. Insurance specialist Angelo DelBorgo with Putnam Insurance Agency, LLC states that "A few quick questions and all of your precious belongings are fully covered. These renters policies also include cost of living expenses and liability coverage for negligence." Angelo is always ready to help set up a policy for you, feel free to contact him anytime at adelborgo@putnamagency.net or via (203) 967-1550. Is It a Buyer's Or Seller's Market? Yes! People always ask us if the market right now is a seller's market or a buyer's market and recently the answer is "Yes, both." So how can that be? New York's real estate market has become split based on price point and neighborhood -- those selling at higher price points, $2M and up, are making price cuts and dealing with more days on market. Seller's under $1M though are seeing properties fly off the market and are frequently getting higher than ask for their homes. This is even truer in hot neighborhoods such as Flatbush Brooklyn or Flushing Queens where sellers are really controlling the show. For more on this split market, click here.